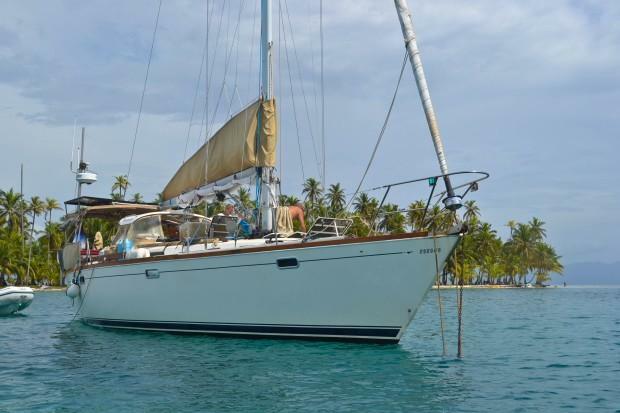 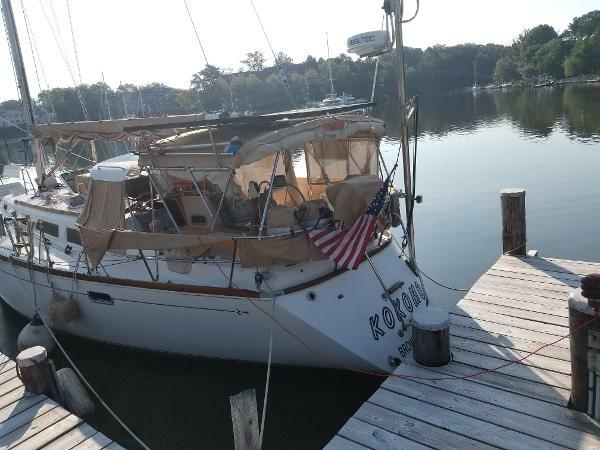 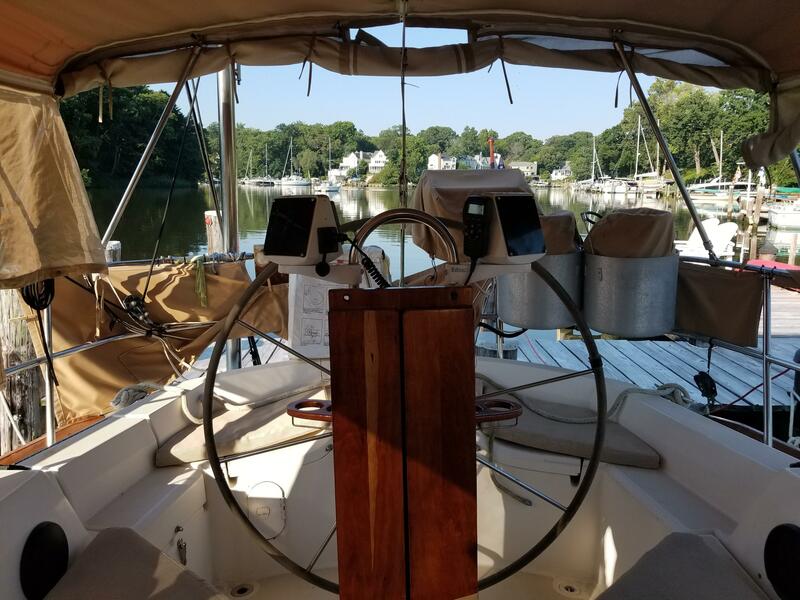 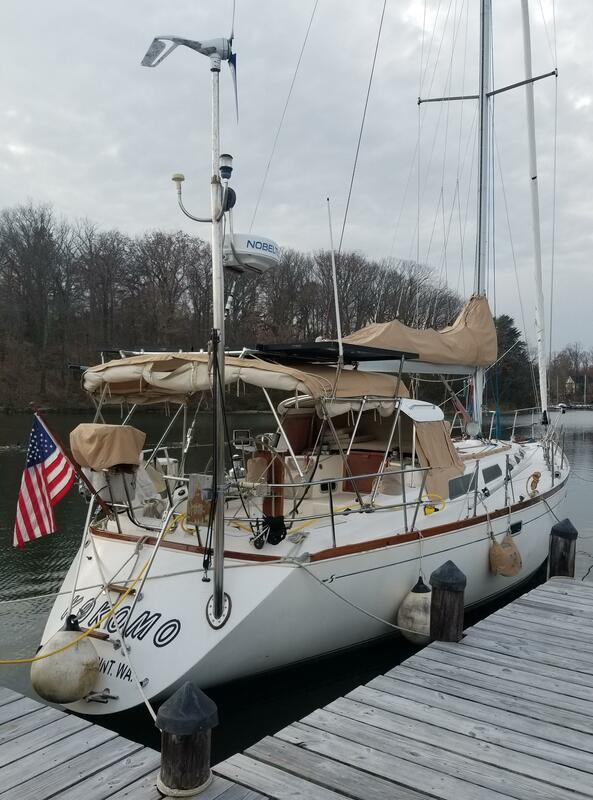 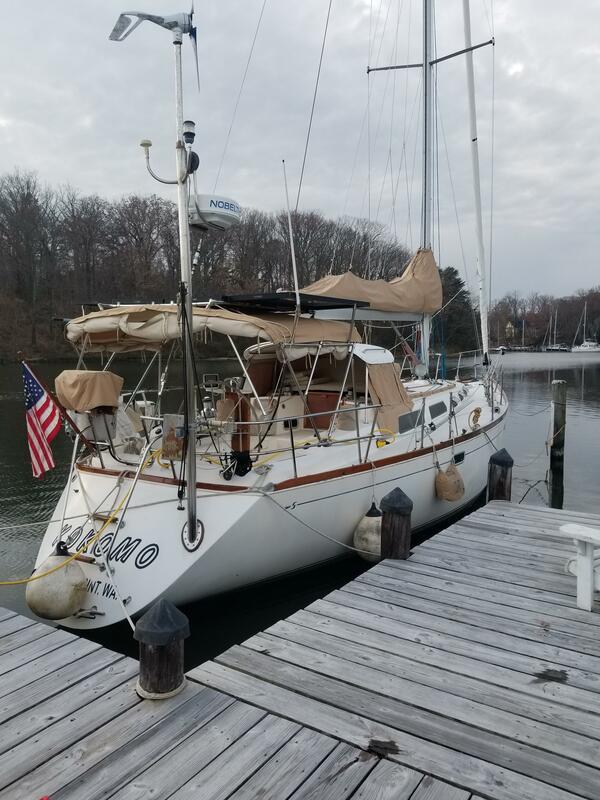 "Kokomo" is a classic Sabre 42 Performance Cruiser that was specially built by Sabre for offshore sailing and has the miles to prove her blue water credentials. 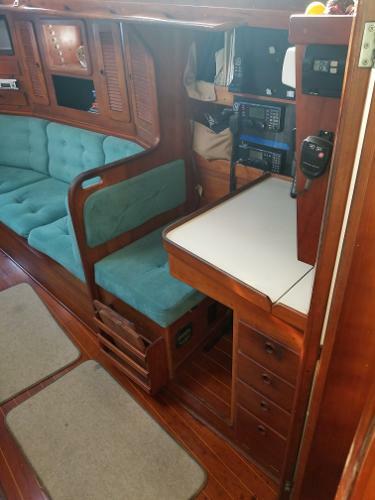 This Sabre 425 is a perfect blend of performance and comfort in this sea kindly cruiser. The interior joinery is Sabre at their best and includes teak strips on the hull sides with lots of shelves and cabinets and opening ports and hatches. She has a super reliable, upgraded Yanmar 54 hp auxiliary (2012) with a 3-blade Maxi Prop (2018). Kokomo is the only Sabre 425 on the market with a durable and secure hardtop with enclosure, simply outstanding with over 6'4" of headroom. Starting at the Bow is the large Vee Berth with convenient shelves along both sides of the berth, large hatch over the berth and two smaller hatches over either side of the entry plus an opening port just under the hatch. 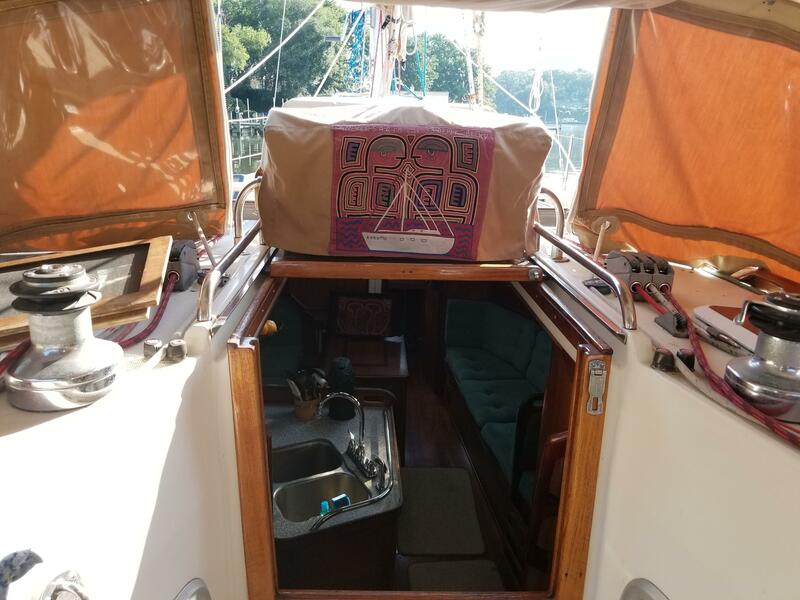 The area under the forward end of the Vee serves as a sail locker. 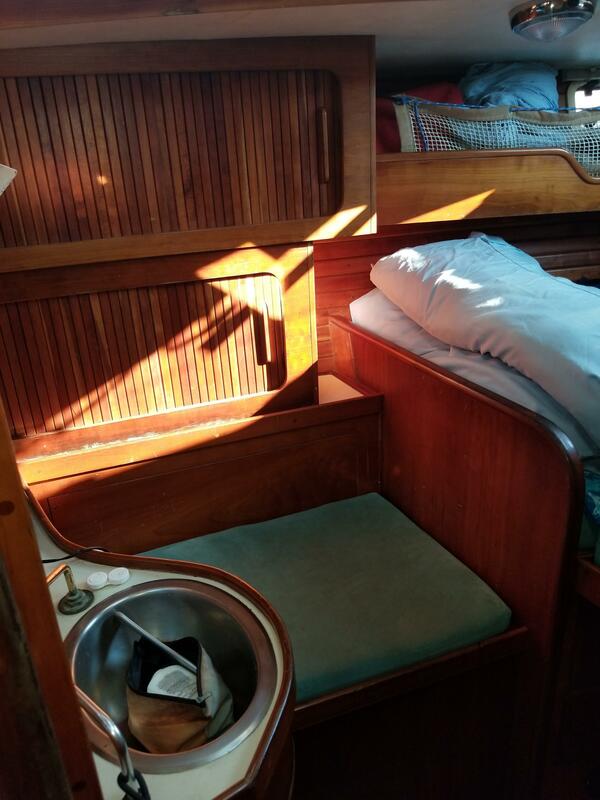 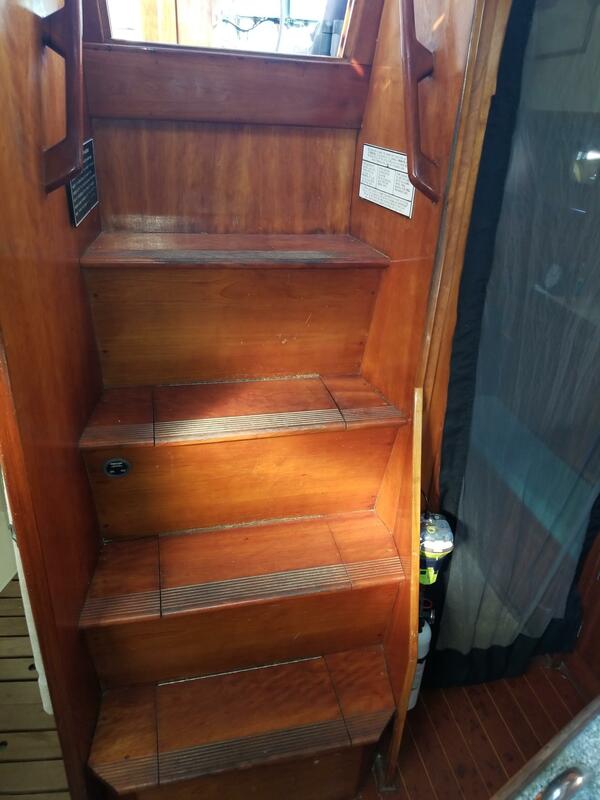 There is a Hanging Locker and 3 drawer Bureau on the starboard side of Entry and a Dressing Seat and cabinets to port. 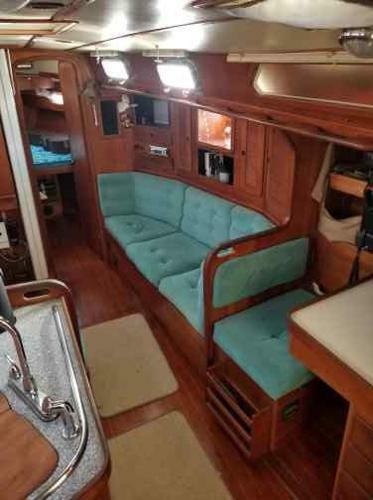 The Saloon is light and airy with an "L" shaped Dining Area to port. 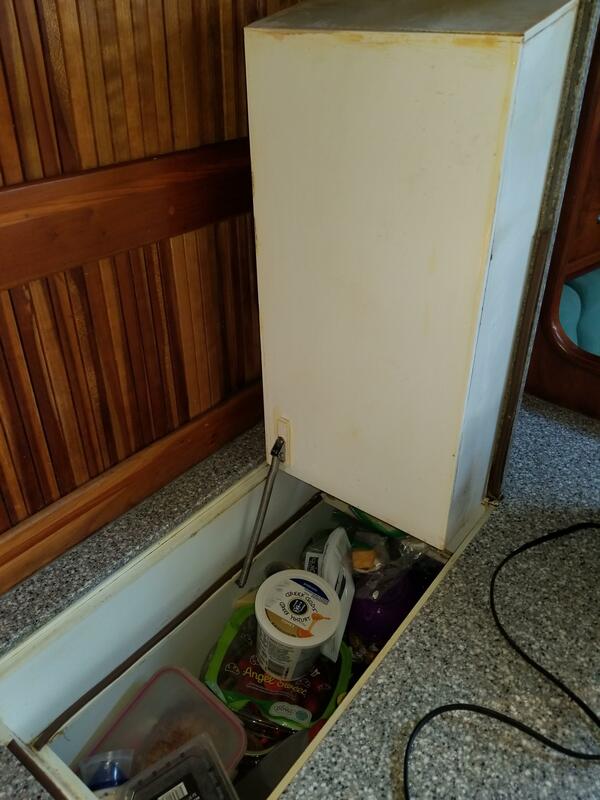 The Table folds and stores against the bulkhead when not needed. 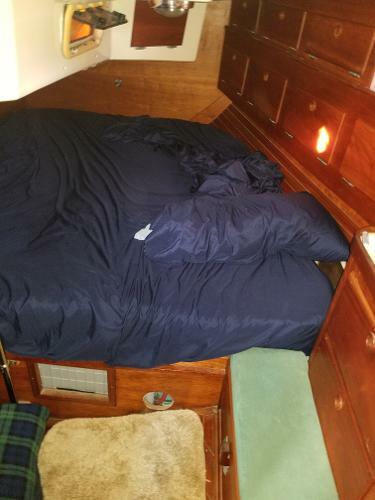 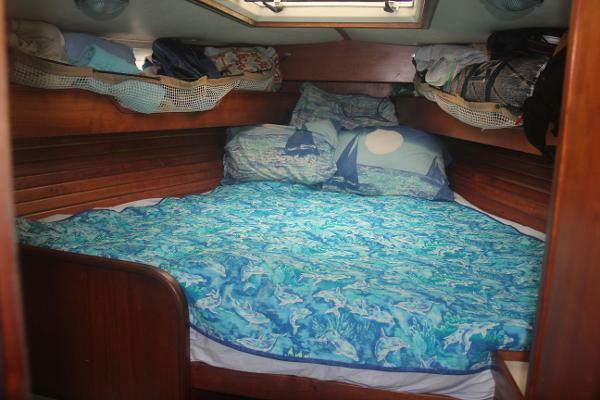 There is a straight facing Settee across on starboard long enough to serve as a single berth. 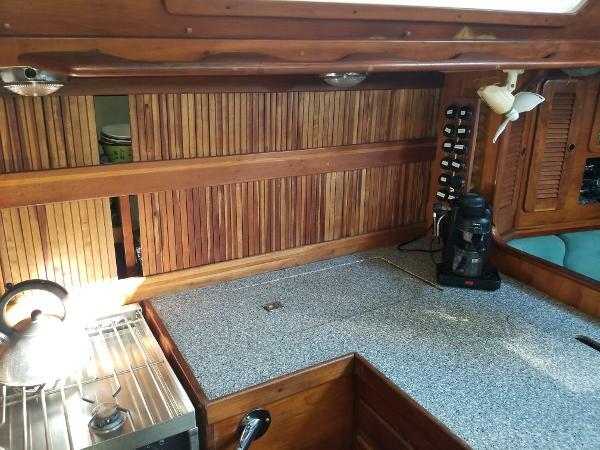 A combination of shelves and cabinets over both settees provides lots of storage. 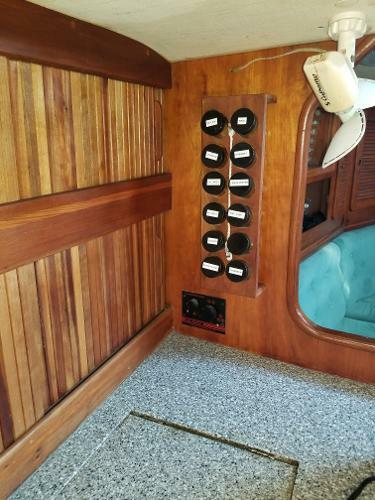 She has 4 -12V Ceiling Lights and a 110V Lamp and a 12V Fan and Wabasko diesel heater. 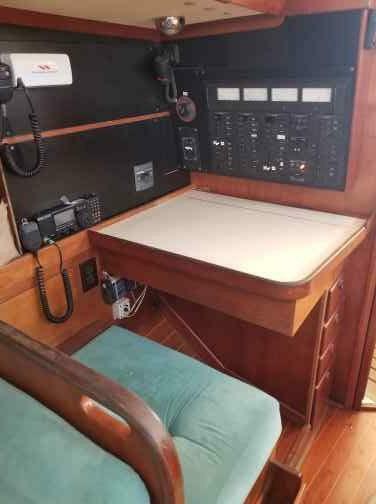 The aft facing Nav Station is behind the saloon on starboard and features a large desk with 4 drawers providing a place for all of your "stuff". 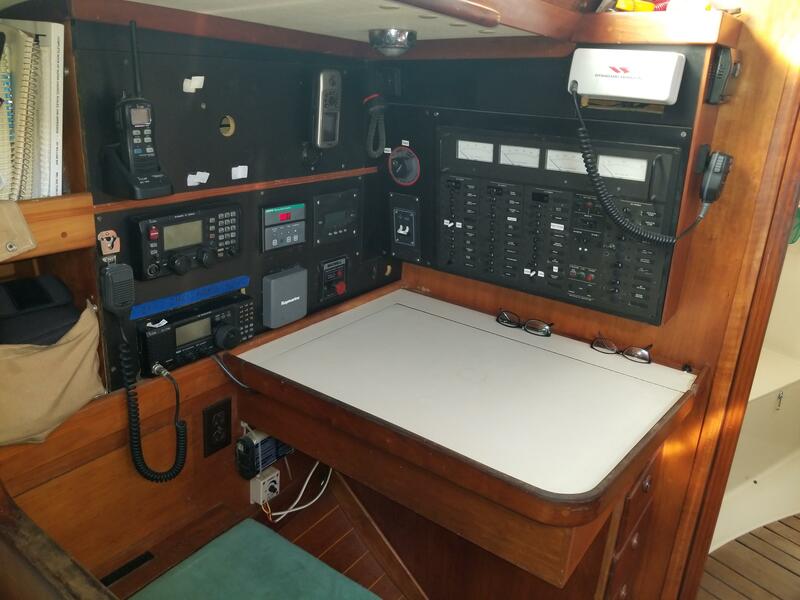 The Electrical Panel is within easy reach as are VHF and SSB Radios, Chartplotter and Autopilot Remote as well as Battery Monitors. 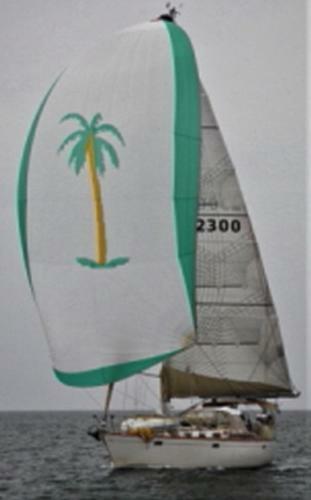 The Head entry is next aft on starboard. There is lots of room with a sink, vacuflush freshwater head, and a real shower area. 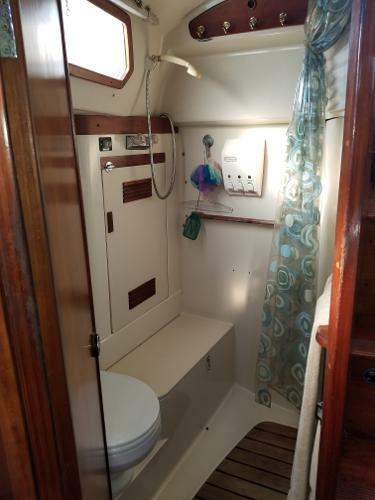 The Wet Locker is located behind the commode. 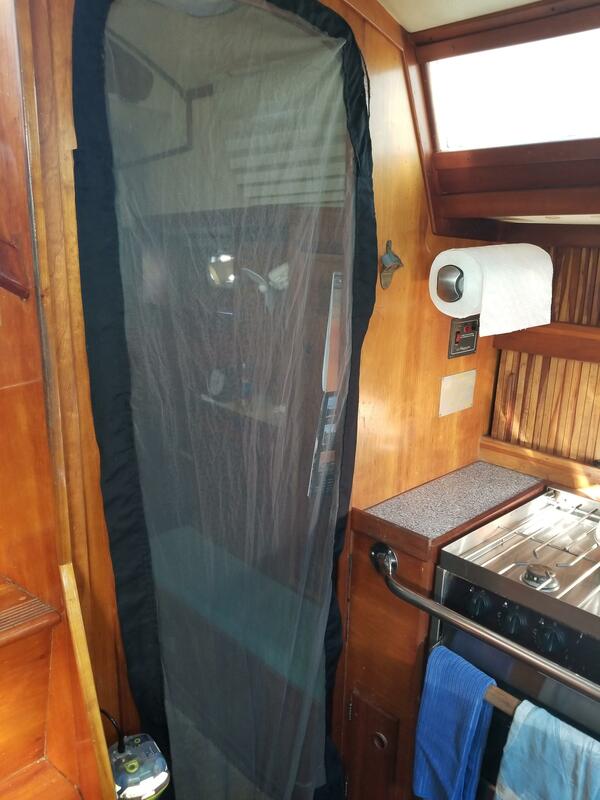 She is well lighted with good ventilation having a fixed port as well as an opening hatch and port. The "U" shaped Galley is across on port with lots of storage and counter space. 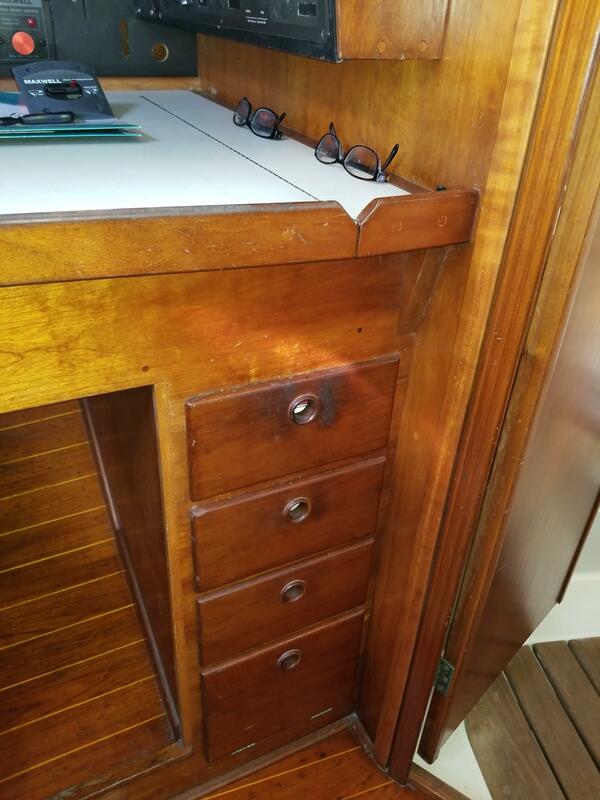 She has 2 shelves with sliding doors along the hull side, a bank of 3 drawers and a cabinet under the counter. 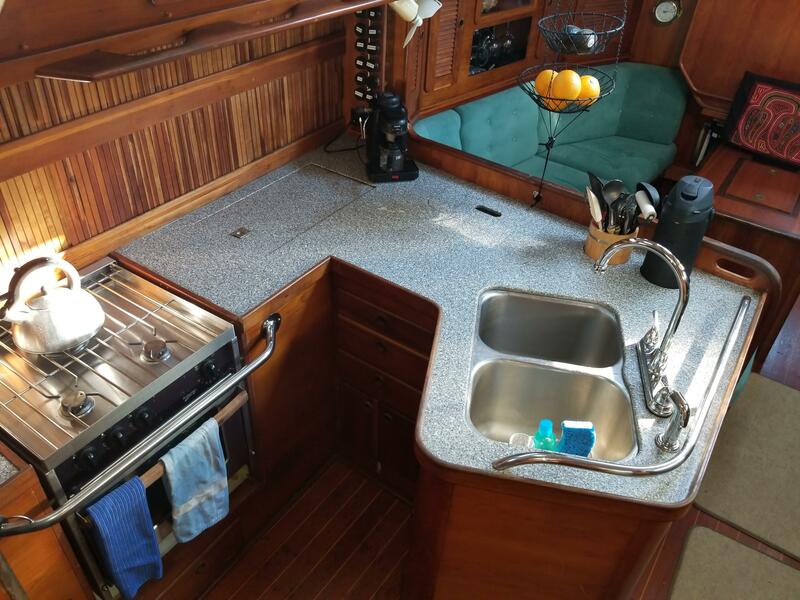 She has a Force Ten Stove/Oven(2009), a good-sized Refrigerator and Freezer and two deep sinks. You have a lot of room to store, prepare and feed your hungry crew. 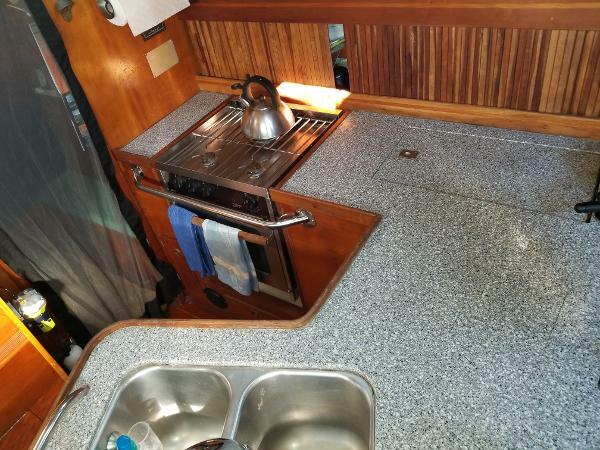 The well-insulated Engine Compartment is tucked under the double sinks with access on starboard and port side. 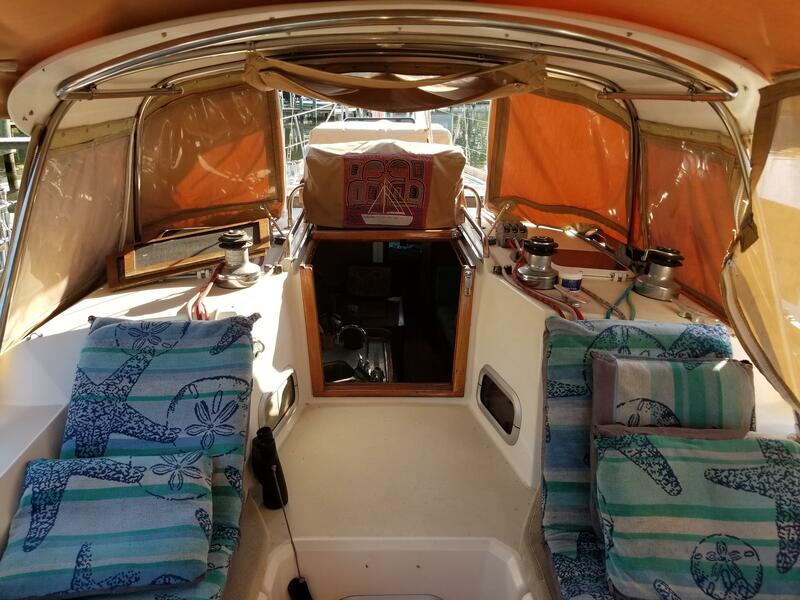 The Sabre 42 has both lots of elbow room and storage. 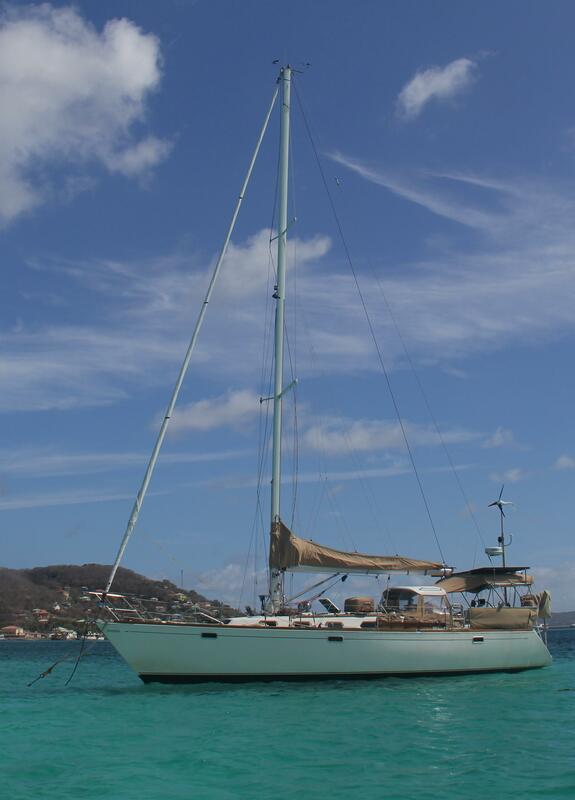 The Sabre 425 has both a 110Volt Shorepower and a 12Volt DC Ship's Electrical Systems. 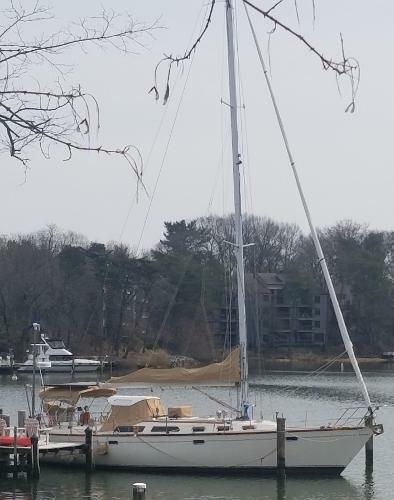 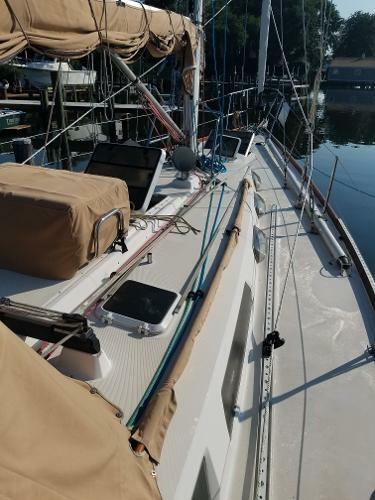 I am Interested in more information about the 42 ft Sabre 425 1992 I found on your website. 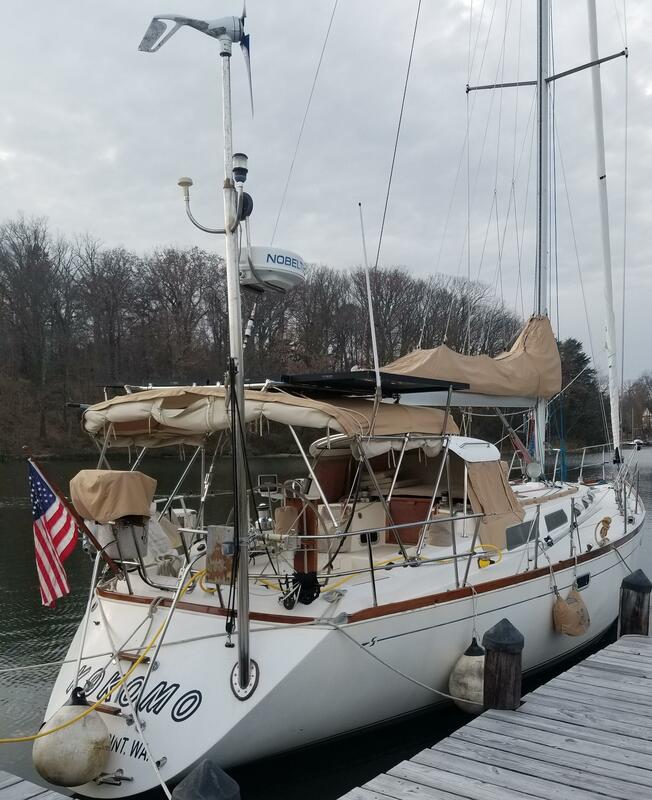 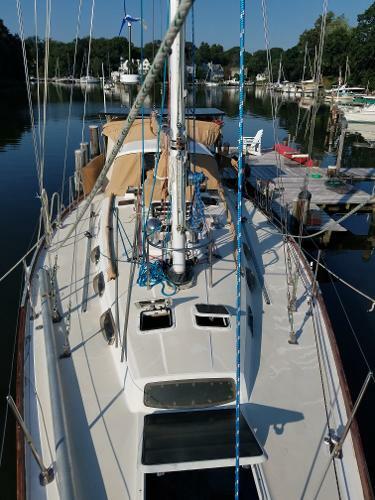 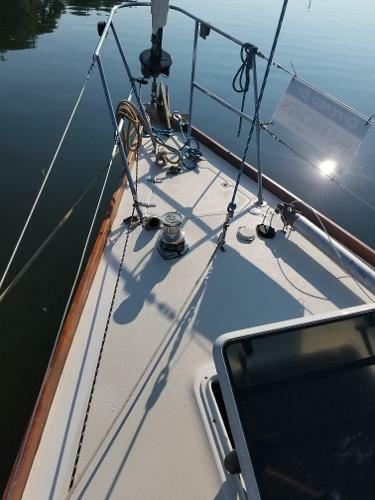 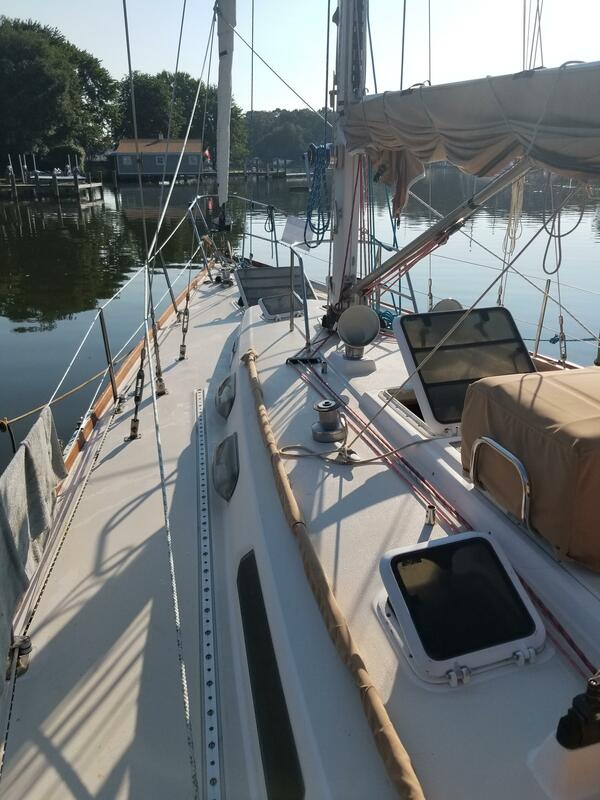 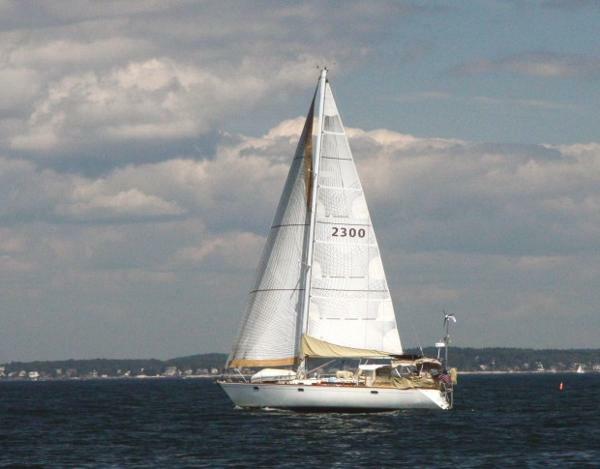 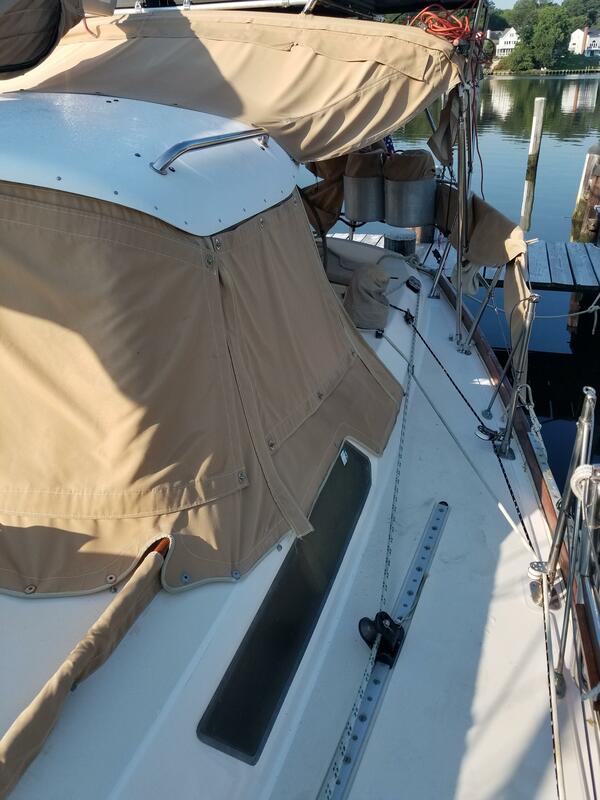 I am Interested scheduling a showing of the 42 ft Sabre 425 1992 I found on your website.